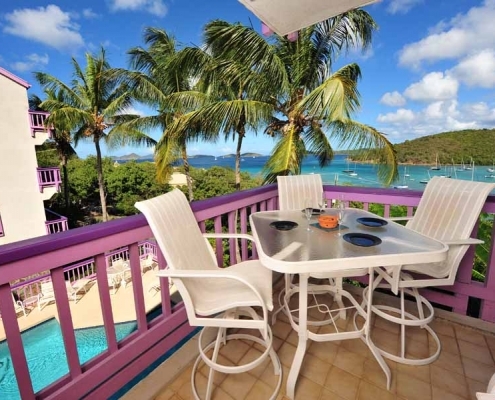 Sun-drenched and positioned for panoramic views, this unit has full air-conditioning, colorful furnishings, full kitchen, and a generous wrap-around deck. 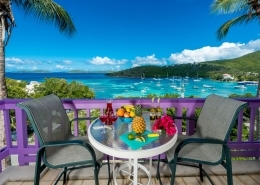 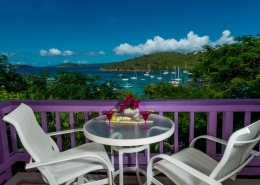 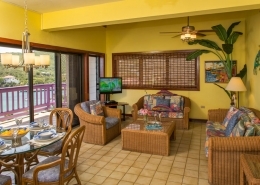 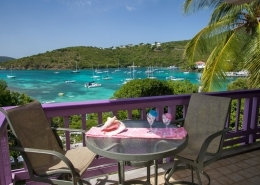 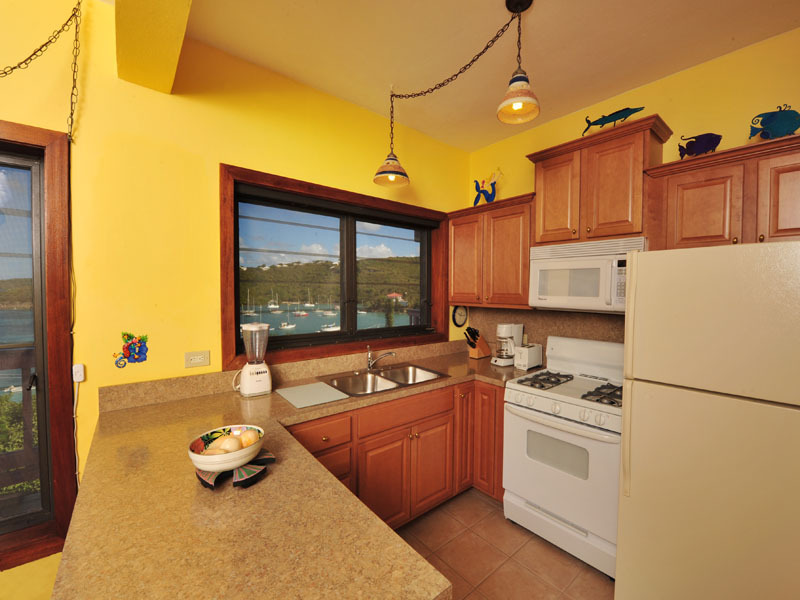 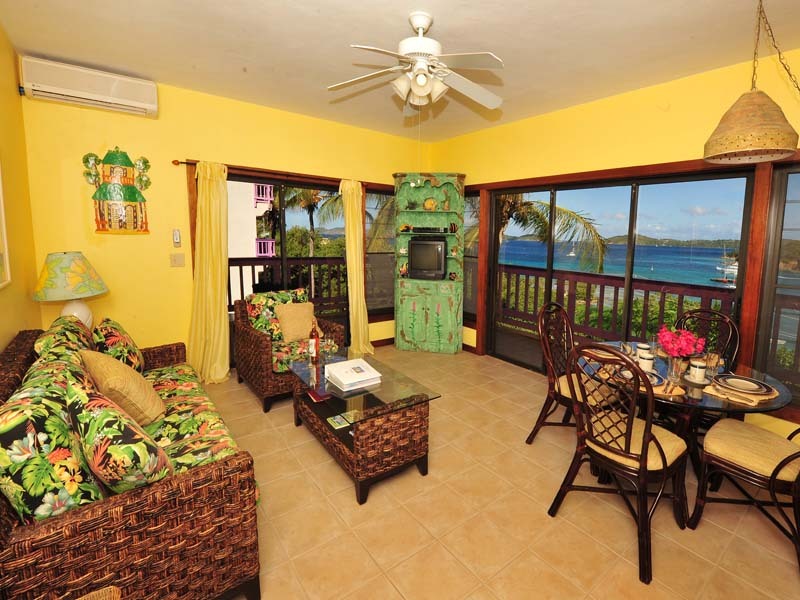 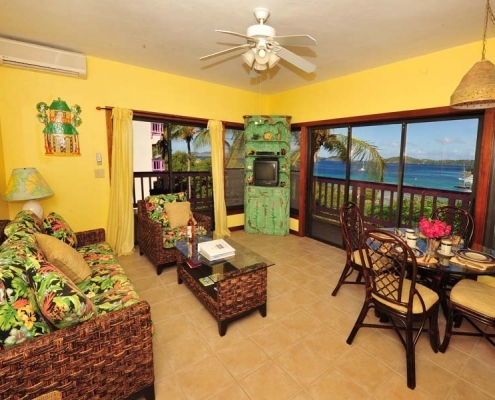 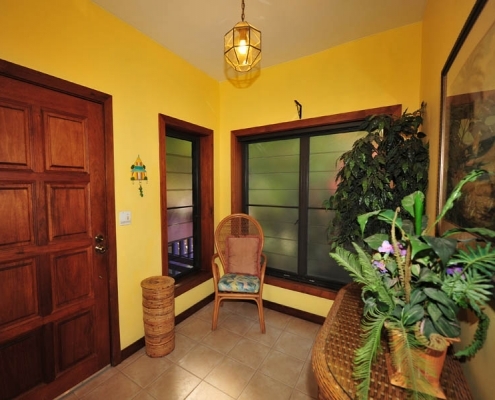 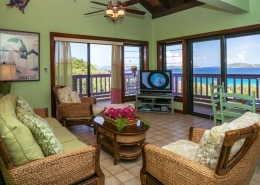 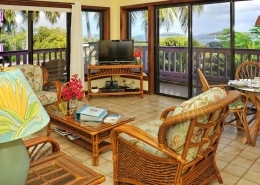 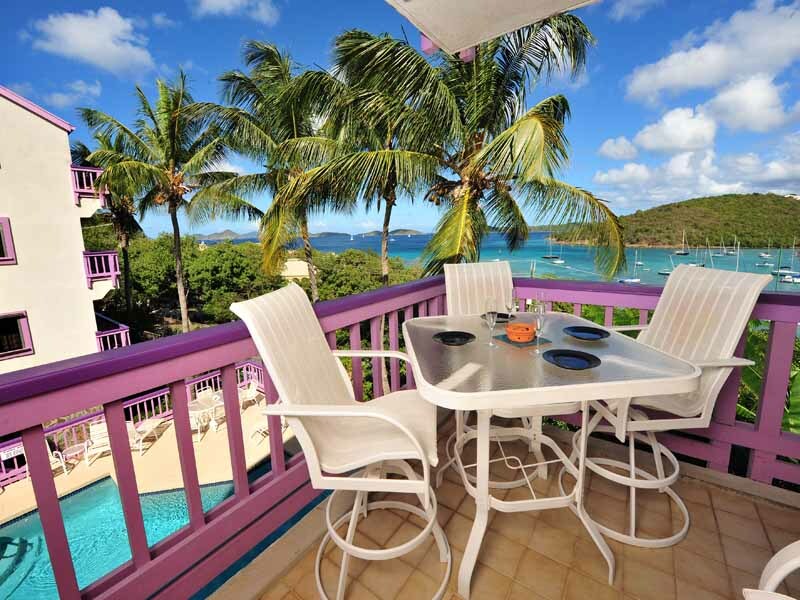 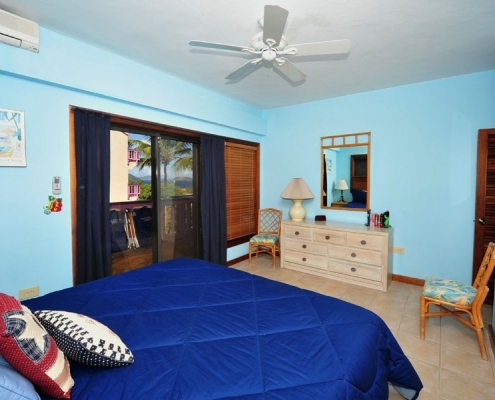 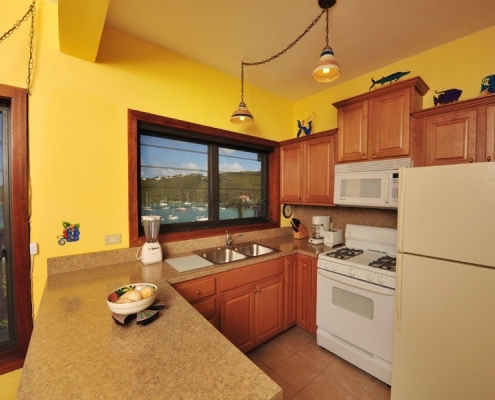 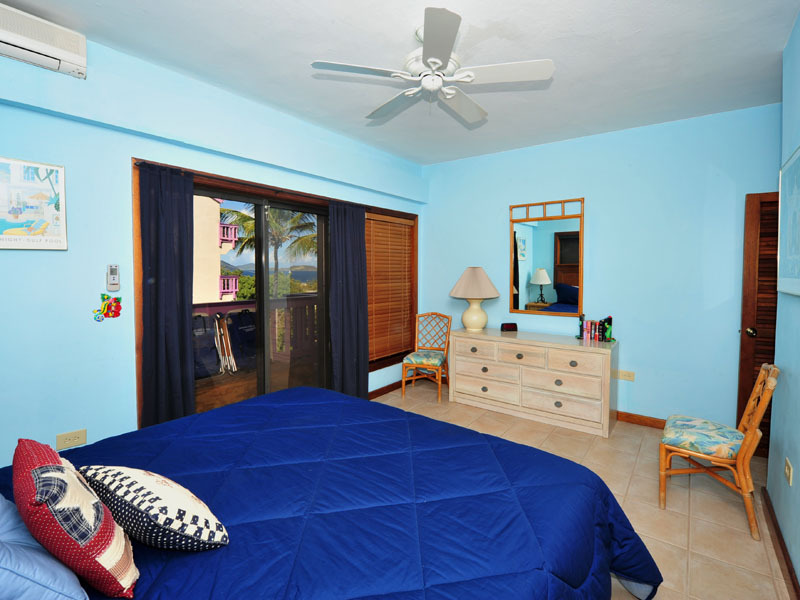 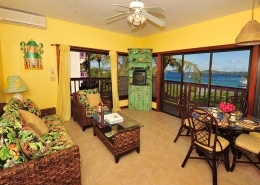 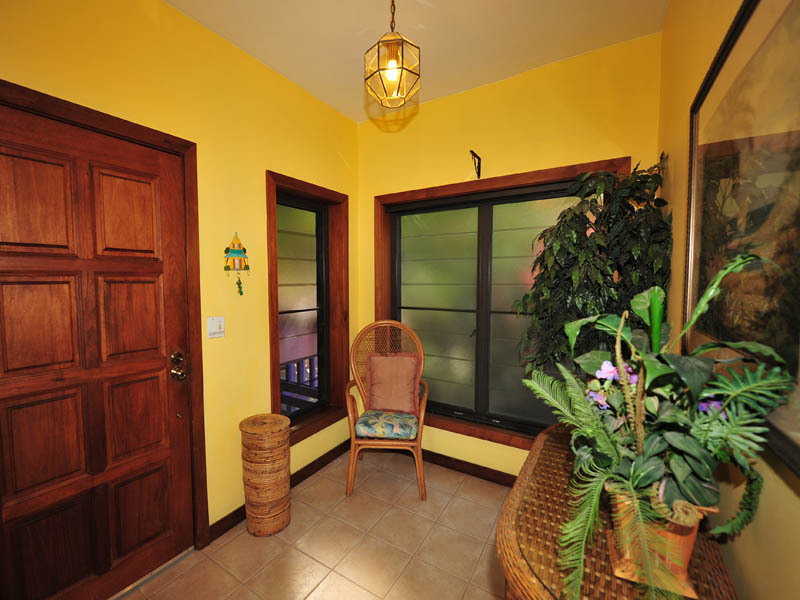 Unit 8E (a bright, colorful one bedroom unit) on our parking lot level has a wrap-around balcony overlooking our pool with stunning views of Cruz Bay and the Caribbean. 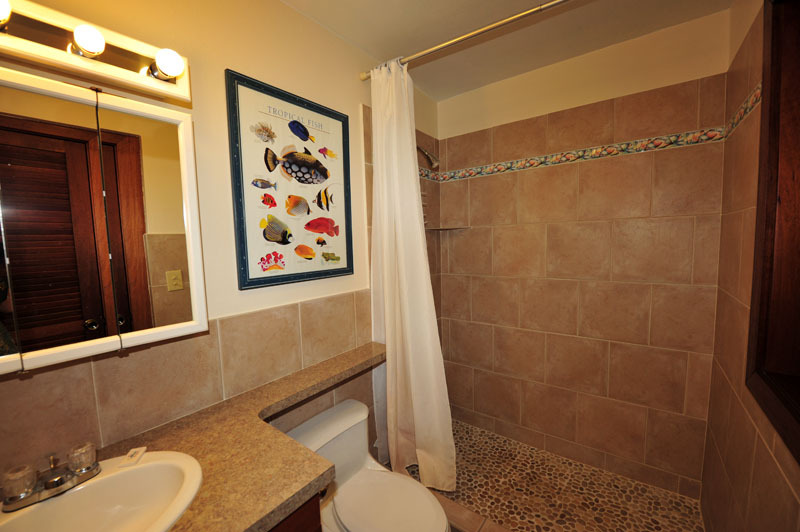 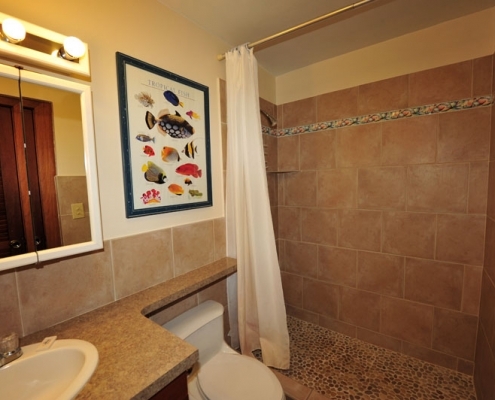 Like all units, 8E has cheerful furnishings, has a sleep sofa in the living room, DVD player & stereo, a full kitchen, is air-conditioned, and has beach chairs, beach towels, and coolers.